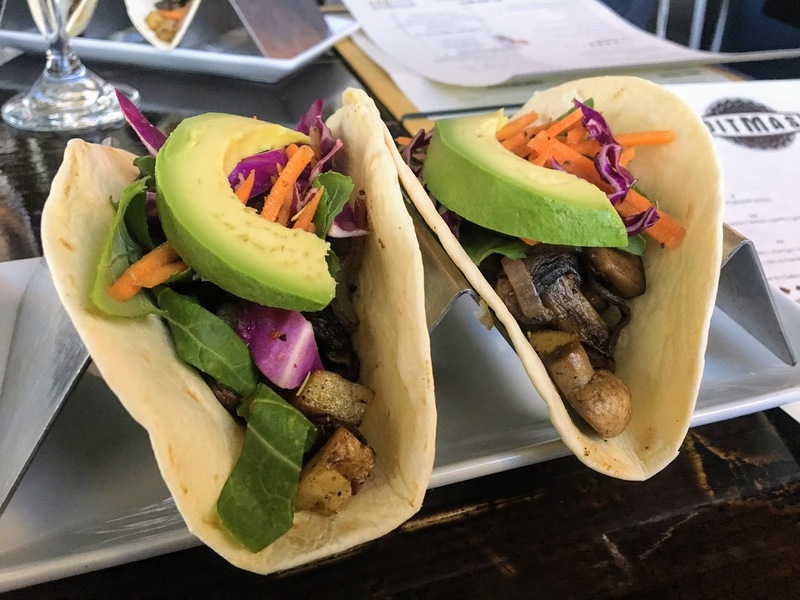 OK so if you and I are social media friends, you know I love food...specifically vegan food! I am always keeping my eyes and ears open for restaurants that don't make it an impossibility to have a satisfying vegan meal. Well, did you know that kosher restaurants are a perfect spot for vegans to find some great food! So I am super lucky to have a blogging sister that loves food just as much as me! 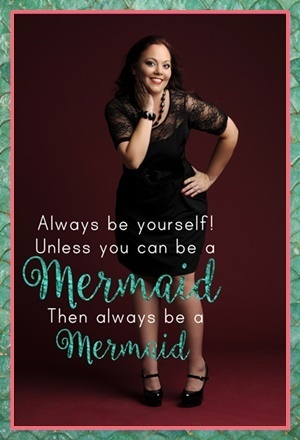 Dawn, owner of Simply Sassy Style, and I tend to enjoy the same types of restaurants as she is dairy free and soy free. 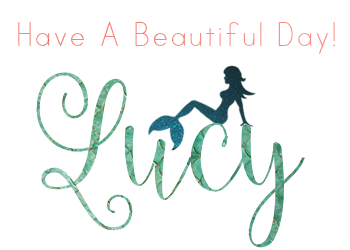 You can check out our adventures over at Sassy Gals Talk Shop, where we just go with the flow and enjoy food, shopping, coffee, and fashion together. 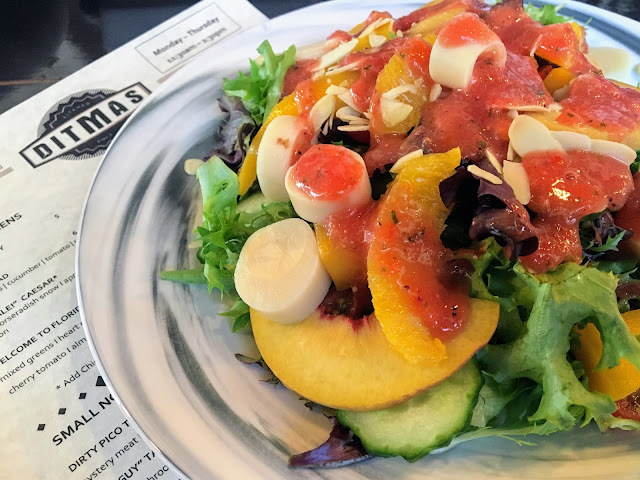 I kicked off my completely kosher and completely vegan meal with the Welcome to Florida Salad...mixed greens, heart of palm, mango, orange cherry, tomato, almonds and citrus honey vinaigrette. In order to veganize it, the restaurant substituted the citrus honey vinaigrette with a peach and citrus concoction that was amazing and so light in flavor and texture!!! Since peaches were available, they also added some sliced peaches onto my salad which really made the flavor pop. 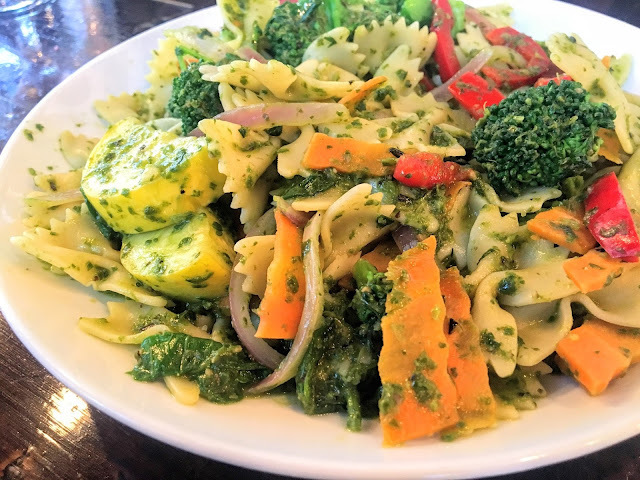 This Farfalle with Vegan Pesto & Veggies is not on the menu but it is definitely always available!!! Having spoken to the chef regarding vegan options, he told us about the Farfalle with Vegan Pesto and Veggies. This was a really flavorful & savory dish. Normally a pasta dish usually weighs me down, but this one was actually not heavy at all. The pesto really adds that special something. 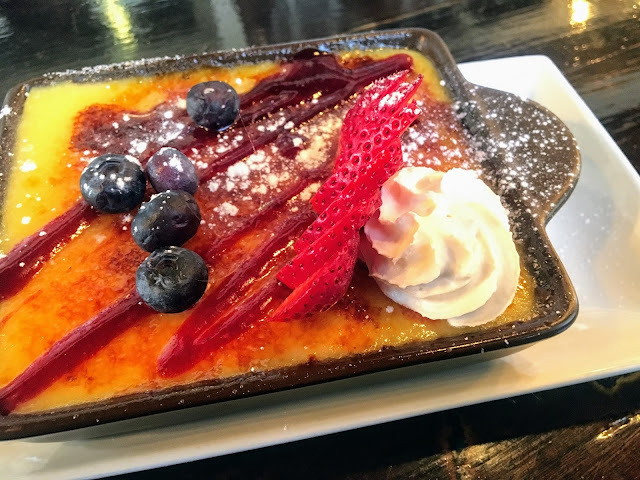 This dessert is up there folks! So creamy and delicious...I ended up taking home half of this as well to complete my takeout dinner. If you've read a few of my posts you know I am a fan of taking home leftovers...It's like eating at the restaurant twice!!! So tell me...Have you had the pleasure of enjoying a meal at Ditmas??? Let me know in the comments! What has been your favorite item on the menu??? *Disclosure: This experience was provided to me for editorial consideration by Ditmas, in cooperation, with Take A Bite Out of Boca & Beyond. All opinions are 100% my own.